Last summer we checked in with the Internet Archive’s Great 78 Project, a volunteer effort to digitize thousands of 78rpm records—the oldest mass-produced recording medium. Drawing on the expertise and vast holdings of preservation company George Blood, L.P., the ARChive of Contemporary Music, and over 20 more institutions from around the world, the project aims to save the recorded sounds of the past, and not only those that have come down to us through the efforts of highly selective curators. What we think of as the sound of the early 20th century—the blues, jazz, country, classical, ragtime, gospel, bluegrass, etc.—only represents a popular sample. This massive archive will eventually number in the millions, up to 3 million recordings, to be exact, and continues apace at the rate of about 5,000 new uploads per month. Last August, the recordings in the archive numbered over 25,000. 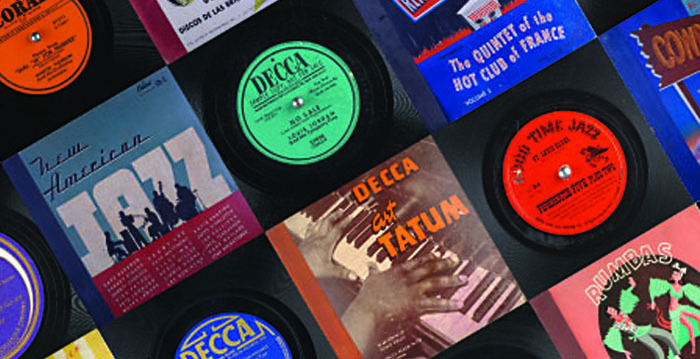 Now, the Great 78 Project contains more than 78,000 and counting digital transfers of fragile 78rpm records—everything from Prokofiev to the Carter Family (further up) to Mississippi John Hurt from 1928 (above) to international folk dances to field recordings of animal sounds. The collected works of Al Jolson, spanning the years 1911 to 1926, appear (above), as does a fascinating collection from Argentina, brought to the U.S. by Tina Argumedo, who began collecting 78s in the 30s and continued to do so for another 20 years before moving to the States. Her digitized collection of almost 700 records “comprises primarily tango music, with boleros, sambas, mambo, and other dance music,” like the Argentine swing of Dajos Bela y su Orquestra from 1932 below. As we noted in our previous post, the utmost care has gone into preserving the original sound of these records, with a variety of digital transfers made with different vintage styluses to represent the differences in playback systems. The process also preserves all the original records’ crackle and hiss—sometimes the music seems to swim below the surface noise, which only enhances the effect of hearing, transported through time, music from 80, 90, and 100 years ago and more. Enter the 78 archive here. I have some 78’s that are in excellent condition. Is there a way to contribute them to this effort? I gave a full six record set of Bessie Smith recordings I would be willing to loan the effort. And a number of others that are popular and classical. The Internet Archive is a great thing – but its content metadata leave much to be desired – sorting the recordings by date of publication – an essential datum for anyone doing research – yields glaringly inaccurate results (many from the future) It seems only fair to note this ongoing problem with a resource otherwise so important. I have a collection about 200 LP disk for gramophon. I’m interested is it possible to transfer sound from LP disks on PC. Is it necessary to have especialy gramophon or , maybe, exsist some hardware to do this ?